Our commitment to helping you reach your goals includes your experience long after you complete your procedure. Your ability to succeed in weight loss and wellness will be affected by the level of nutrition, fitness, and personal support you receive. For this reason, we are proud to introduce the VHPGO platform and app for the aftercare of our Shape*ology patients. This revolutionary Virtual Health Partners GO platform gives you exclusive access to a team of nutritionists, fitness, and lifestyle modification health experts around the country, who are committed to supporting you. Have 30 minutes on a business trip but not sure how to incorporate fitness? Take one of our online fitness classes designed to give you a good work out with no special equipment. Enjoying vacation wining and dining a little too much? 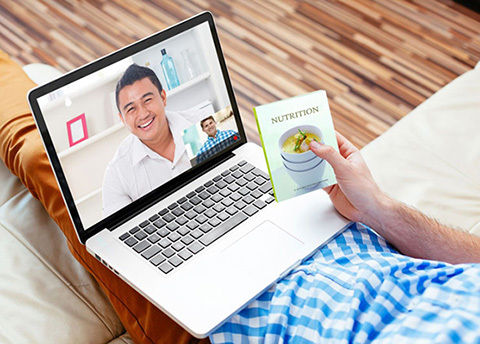 Schedule a 15-minute video chat with a nutritionist who can listen to specific challenges and provide recommendations. Not too clear on how much fiber is right for you and how to incorporate it throughout the day? 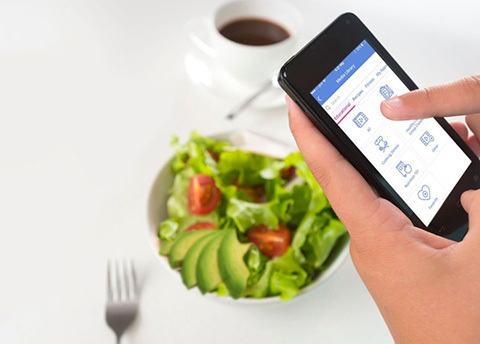 Access a nutritional class on your phone or tablet. When you use VHPGO, you’ll be able to participate in live online fitness classes from early morning through the evening, and access fitness videos 24/7. You will not have to drive to our offices for your nutrition appointments. Instead, you can schedule one-on-one consultations with the nutritionist of your choice, from the comfort and convenience of your home. In addition, our lifestyle modification team will guide you to making successful, positive, lasting changes in your life. You will also be able to motivate and share experiences with your peers through live support groups. VHPGO uses the most innovative technology to give you easy access to comprehensive support that will make this your best chance at a successful journey to weight loss and wellness. Not only will helpful and caring experts support you at every step, but you’ll also have access to a food diary, smart phone app, recipes, media library, meal plans, unlimited messaging to experts, Fit bit activity tracker, and more. The integration of all these elements will motivate, inspire, and educate you as you lose weight and improve your health.